A Royal Air Force Radar Station in operation between 1938-1955, RAF Stenigot was a vital piece of a communications network that prevented both German attacks during World War II and Russian air strikes in the years following, but today the disused dishes simply rust away as enormous relics of wars gone by. Originally built in 1938 as part of the “Chain Home” network, the station did not initially feature any large dishes. In the beginning the site’s main features an octet of aerial towers; four for receiving, four for transmitting. These were supported by some low-lying buildings and stood on large concrete pads. This initial installation was in place to intercept German air raids. Once WWII ended, the site was retooled to serve as a NATO-run early warning system to warn against Russian airstrikes. To this end, four huge, 60-foot-wide parabolic dishes were installed, replacing the previous towers. This new network carried the jaunty name, “ACE High,” standing for “Allied Command Europe.” While this newer version of the station performed well, the whole site was decommissioned in the 1980s, and by 1996 the entire station was all but dismantled. Despite being decommissioned some remnants still remain. The thick concrete pads that once supported the heavy aerial towers are still visible at the site as well as some of the original buildings including a pillbox and guardhouse. One of the radar towers is also still standing and features a memorial at the top. 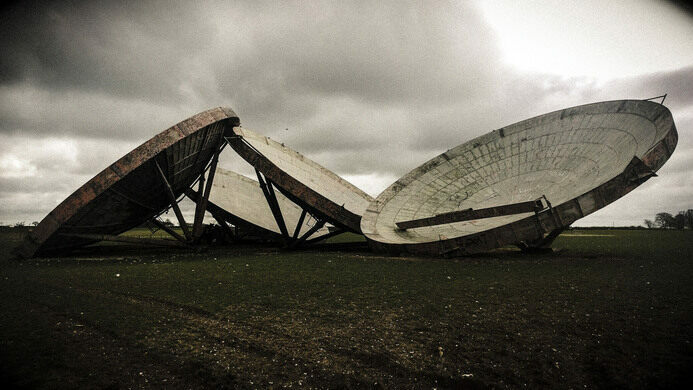 However the most impressive relics of the base are the four parabolic dishes that have been taken down from their mountings and are simply rusting away in a field nearby. 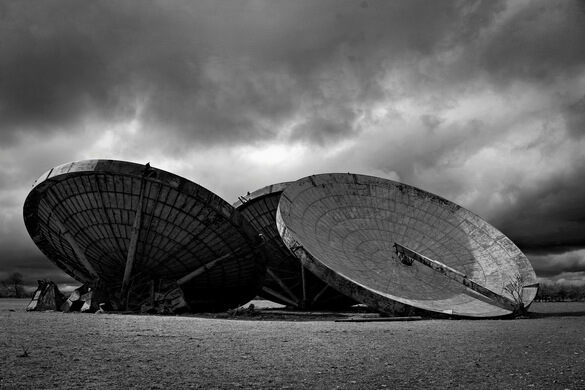 The site is managed by the Ministry of Defense, but the massive dishes can still be visited.